Anything I say on ellegracedeveson.com will always be honest, wether that’s product reviews, my life in general or anything in between. The products I review I have purchased myself (unless I’ve stated otherwise) that I’ve genuinely come to love and continuously enjoyed using. Personally, I believe honesty is the best policy and I will stand by that when reviewing products and speaking about my life. All images are my OWN! unless I state otherwise and then I will always give credit to that person. I will always provide the links to the website that owns the picture or to the personal owner of the image. If you’d like to use any of my images, please just ask for my permission first or always credit me. WHAT PERSONAL INFORMATION DO I COLLECT FROM THE PEOPLE THAT VISIT MY BLOG AND WHY? i collect your name or username, email address, IP address and website URL. I also collect non identifiable data such as browser information in order for me to see my website statistics. I wouldn’t ever ask for your credit card details or payment details. Your personal information which you give to my blog is contained behind secured networks which is only available to be seen by a very limited number of people who have access rights to such systems but they are also required to keep this information confidential. Furthermore, all information given to my blog is secured via “secure socket layer (SSL) technology”. Which basically means I do everything I can to keep whatever information you’ve submitted to me, safe and secure. You can always choose to be notified for follow-up comments by email and be notified if a new post has gone live when you leave a comment. Both of these things are optional and you can choose wether you do them or not. I continuously back up my website including all the comments and personal data attached. I DON’T sell, trade or transfer any of your personally identifiable information to ANY outside parties. The only time I would do so, is if it was required by law or for giveaways in which I collaborated with a brand (for example; when choosing a winner, I will need to pass on the winners information to the brand in order for you to claim your prize). By entering any giveaways or entering such information, you will be agreeing to the terms, therefore if you don’t like what your reading, please don’t enter. If I’m ever collaborating with a brand, I will always state that, like I’ve mentioned above. If a visitor leaves a comment, the comment and it’s metadata will be there indefinitely. This is so I can recognise and approve any follow-up comments automatically instead of holding them in a moderation queue. For those of you that register on my blog (if any of you) the personal information provided is in your user profile. All of you users can see, edit and delete your personal information at all times expect your user names, that’s for keeps. 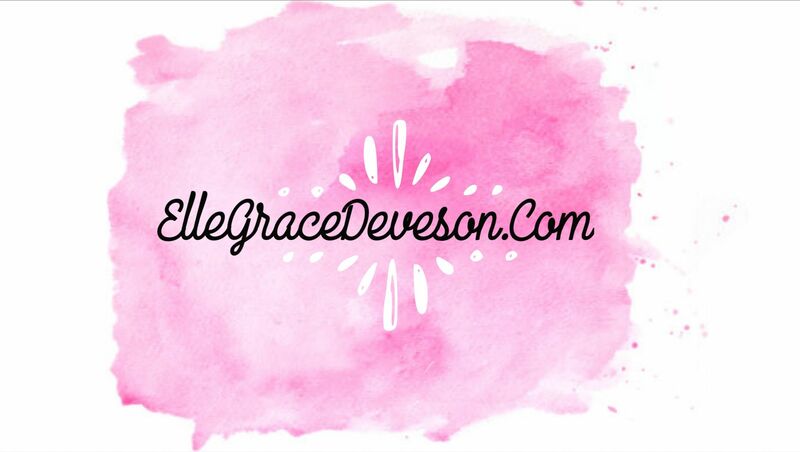 if you want to contact me for any further information, please email me at ellegracedeveson@outlook.com – I can talk can privacy concerns or if you just want to clarify any of the information I’ve written above. Thankyou. This will be reviewed and updated regularly when appropriate. last updated on the 25th of May 2018.